Well it turns out the thing is a "up armored" and "up gunned" Pershing in WW2 combat. Only one was shipped over to the 3rd Armored Division in April of 1945. They welded on additional plates of armor and put a "external wrap-around armor mantlet" on the turret front. 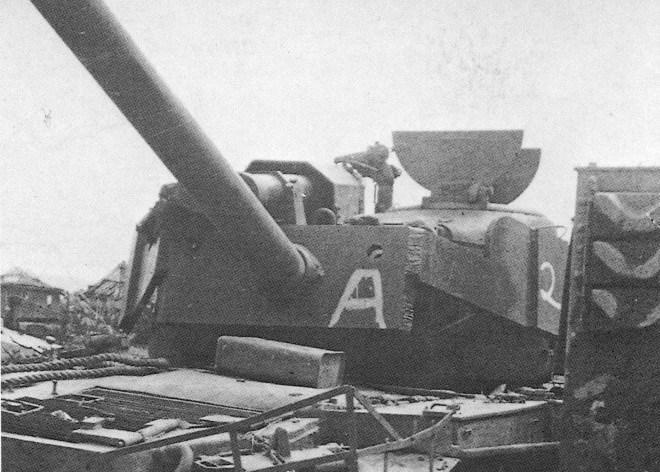 The T15E1 cannon was of a higher velocity than the usual 90mm gun. Their is two cylinders on top of the turret that are "recuperators in order to help manage the stronger recoil of the gun." It only saw combat in a couple of engagements. First time I've ever noticed, the commander's forward vision is totally screwed with the big balancing spring mounted to the roof. There's quite literally no way for him to see around it or above it. Either the commander would need to be entirely out of the hatch or rely on the gunner doing the forward spotting with the loader helping out. Can't find a suitable picture of the real thing.....Will check Hunnicutt later, but I don't recall there being that many pictures of the T-26E4. PS - I've been meaning to buy the Modelltrans Modellbau T26E4 conversion for the Trumpeter 1/72 kit, checking this out seems like a pretty good excuse. The Brits may have had Hobart's Funnies but it looks like we had Rube Goldberg's Design Bureau. To quote Ghostbusters "He's an ugly little spud, isn't he?". To quote Ghostbusters "He's an ugly little spud, isn't he?". Only one tank was shipped to the theater and didn't arrive 'til March 15. It was mounting the wrong gunsight and the correct sight couldn't be located so they had to fudge the range data tables. Also, the ammo for the gun had been misplaced and had to be retrieved from the 653rd TD battalion who wondered why their 90mm ammo was a foot too long to fit in the gun breech! After a week in the hands of the maintenance battalion the uparmored tank finally emerged for combat. The springs on the turret roof weren't part of original design, That big slab of add-on armor on the mantlet had badly unbalanced the gun. The springs were added to help rebalance the gun assembly. In Cooper's 'Death Traps' I believe the author claimed to be involved with uparmoring the tank and related an anecdote about it firing on a distant 'something' and setting it ablaze though nobody discovered what the tank was. (Its been decades since I've read that book). The US had a number of even more exotic designs back in the states. 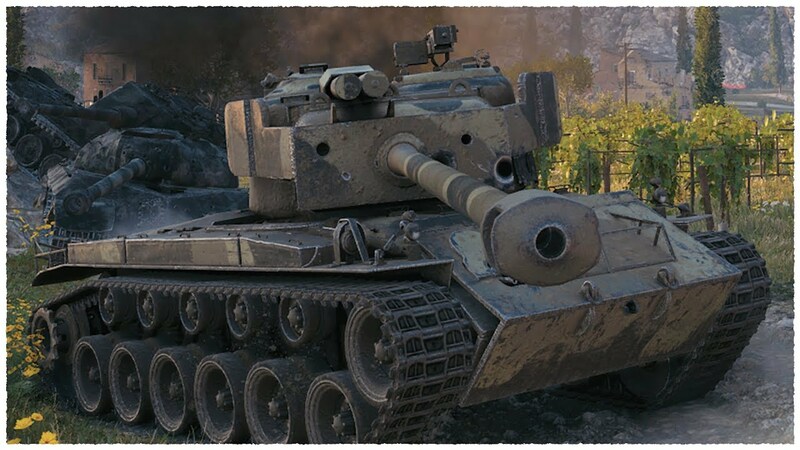 The T29, T30, T32, and T34 all began design during the war but weren't completed til after. You can probably find them all in the pay-to-play game World Of Tanks though you'd likely bankrupt yourself before reaching that level. You can probably find them all in the pay-to-play game World Of Tanks though you'd likely bankrupt yourself before reaching that level. There's plenty of info in Hunnicutt's book. 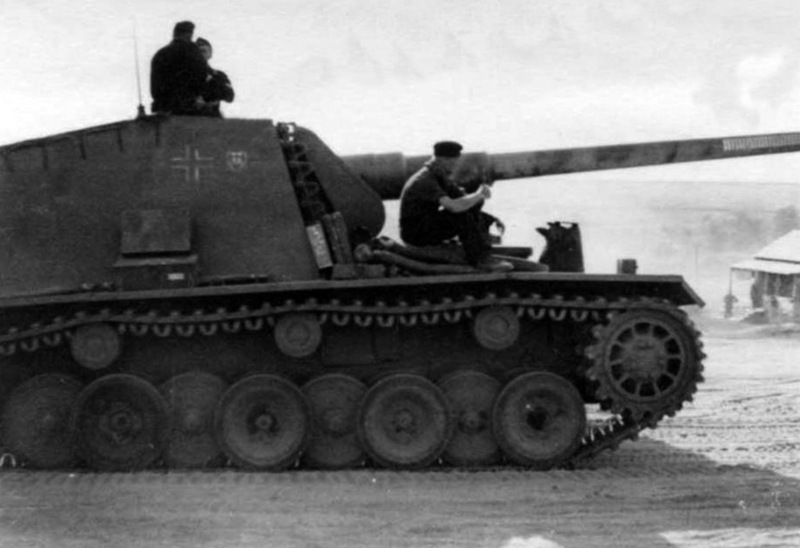 The later production model T26E4 eliminated the external springs and the gun was later able to use 2 piece ammunition. The later production model T26E4 eliminated the external springs and the gun was later able to use 2 piece ammunition. Steve isn't averse to including famous funky vehicles. 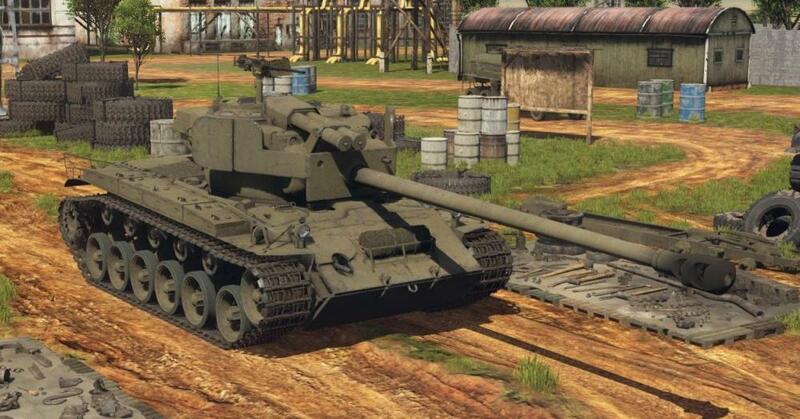 He did give us the flamethrower Char B2 tank and Crusader III AA tank. Its just not at the tippy-top of his 'must have' list. Whether we see the tank in-game depends as much on Steve's mood the day he's making the vehicle list as anything else. So stay on his good side!